The specific EEG patterns in patients with epilepsy enable the objective assessment of changes in the brain function and, in conjunction with clinical data, determine the efficacy of treatment. Characteristics of the EEG spectral power have additional diagnostic values as they reflect the severity and spatial distribution of epileptiform activity. The standard EEG analysis combined with further mathematical processing helps reveal the neurophysiological markers of resistance to anti-epileptic drugs. The aim is to identify the neurophysiological correlates of drug-resistance. Materials and methods. We examined 160 patients with epilepsy: 80 with drug-resistant epilepsy (DRE) and 80 with controlled epilepsy (CE). The subjects underwent a number of neurophysiological studies (EEG, EEG-video monitoring) including the spectral power analysis. Results. We established a correlation between the paroxysmal activity localization and drug-resistance. The secondary bilateral synchronization syndrome of different degrees of severity was found in the DRE group 1.91 times more often than in the CE group; this syndrome is seen as an unfavorable factor aggravating the course of epilepsy in the DRE patients. Using the spectral analysis we also found that patients with DRE differed from those with CE by the types of paroxysmal activity in the frontal-occipital areas. There, the involvement of diencephalic and mesencephalic structures in the paroxysms were similar in the DRE group, while only diencephalic structures played a significant role in the paroxysmal activity in CE patients. Conclusion. Neurophysiological factors correlating with resistance to antiepileptic drugs in patients with epilepsy were identified. The results can be used for the timely diagnosis of pathomorphism of epilepsy and the choice of therapy. Objective. To conduct a survey of adult patients with focal epilepsy and ictal disturbances of cardiac rhythm and conduction, considering the disease classification, anamnesis, clinical, electroencephalographic and neuroimaging data. Materials and methods. We selected 70 patients aged 18 to 51 years old with confirmed diagnoses of focal epilepsy with epileptic seizures persisting at the time of the study on the background of antiepileptic therapy without concomitant cardiac disorders but with confirmed ictal changes in the cardiac rhythm and conduction. Results. Among the examined patients, those with long lasting “structural focal epilepsy”, frequent epileptic attacks, temporal and frontal-temporal epileptogenic foci, taking several antiepileptic drugs, prevailed. Most of the heart rhythm and conduction abnormalities occurred in male patients with serial paroxysms, bilateral tonic-clonic seizures, or sleep seizures. Сonclusion. The timely detection and examination of patients with high risk of ictal arrhythmias is able to prevent disturbances of cardiac rhythm and heart conduction during epileptic seizures, including those with a life-threatening potential. Musicogenic epilepsy is a rare form of reflex epilepsy, where seizures are triggered by listening to patient-specific sounds or music. The onset typically occurs in the adult age. In most cases of musicogenic epilepsy, the source of epileptic activity is located in the temporal zone (more on the right) and not associated with structural brain damage as per magnetic resonance imaging. Usually, the seizures have the complex partial nature with automatisms. This report presents a case of a female patient of 53 years old with the onset of epilepsy at an age of 33, with complex partial epileptic seizures provoked by listening to pop music. We detected 2 sources of epileptic activity located in the medial zones of the right and left temporal lobes, with no structural abnormalities of the brain as evidenced by MRI. During a video-EEG examination, listening to a piece of music caused complex partial epileptic seizures with the source of ictal epileptic activity in the medial zones of the left temporal lobe. The aim is to develop and implement a method for the treatment of drug-resistant epilepsy using autologous mesenchymal stem cells and the neuroimaging, immunological and neurophysiological predictors of the brain function. Material and Methods. Twenty patients (12 males and 8 females) with symptomatic drug-resistant epilepsy participated in the study. The patient age varied from 23 to 46 years; and the duration of epilepsy was 7-29 years. Autologous mesenchymal stem cells of the bone marrow were characterized using cultural, morphological, immunological, molecular-genetic, clinical-functional, laboratory, pathopsychological, and neurophysiological methods. The standard parametric and nonparametric statistical tests were used to evaluate the results. Results. The study resulted in producing of cultured autologous mesenchymal stem cells of the bone marrow (AMSCBM) sufficient to conduct 20 courses of cell therapy. In total, 40 transplantation procedures using AMSCBM were performed (20 intravenous and 20 endolumbar injections). Cellularity index in the intravenous inoculate ranged from 39.5 to 110.0 million and that for the endolumbar injection – from 5.1 to 10.0 million with viability not less than 95%. The distribution of AMSCBM by key surface markers (CD105+, CD90+, CD45-, CD34-) matched the criteria of the International Association for cell therapy (ISCT). The cell injections were well tolerated and did not cause any severe adverse effects. To monitor the process of neurogenic differentiation, the expression of the surface markers was determined. In most samples with confirmed neural differentiation, a significant increase in the expression of neuron-specific enolase, nestin and MAR-2 was detected. In patients with symptomatic epilepsy, the most significant deviations from normal values were found for the numbers of cytotoxic and activated cells, natural killer (NK) cells, and T-cells with the NK activity. After a course of cell therapy, a significant decrease in CD4+CD8+, CD3+CD8+, CD3+CD95+, and CD8+CD25+ cells was noted. Also decreased were the numbers of NK cells and T-cells with the NK activity, however, their levels remained relatively high as compared with the control group. Following the treatment, we continued to monitor the patients for 3, 6, and 12 months after the cell administration as well as the patients from the group of comparison. Conclusion. For the first time in the Republic of Belarus, cell therapy in patients with epilepsy was conducted. An intravenous injection of AMSCBM and endolumbar administration of neuro-induced AMSCBM can serve an effective additional therapy of choice in patients with drug-resistant epilepsy. The aim of this study was to evaluate the anti-seizure effect of Levetinol tablet (Geropharm) on the cobalt-induced chronic epilepsy. Materials and methods. A model of cobalt-induced epilepsy was created by applying cobalt powder to the sensorimotor zone of the rat cortex. The effects of Levetinol were studied at the early stage of the epileptic system (ES) formation (on day 2 after the cobalt application), and then at the stage of fully developed ES (on day 6 after the cobalt application). Results. The present study showed that at the early stage of ES development, Levetinol at doses of 50 and 200 mg/kg had no statistically significant effect on the development of paroxysmal activity in both primary and secondary epileptic foci: in the ipsi- and contralateral cortex, hypothalamus and hippocampus. On day 6 of the cobalt-induced epilepsy, a significant suppression of paroxysmal activity in the above structures of the brain was observed with the administration of Levetinol at a dose of 200 mg/kg. The most pronounced anti-seizure effect was found in the hippocampus; that was expressed in normalization of the bioelectrical activity and appearance of the regular theta rhythm. Conclusion. The effects of Levetinol are largely manifested in the hippocampal foci of epileptiform activity and, to a lesser extent, in the cortical foci. Hemiconvulsion-hemiplegia-epilepsy (HHE) syndrome is a rare consequence of focal status epilepticus (SE) in childhood. The major discerning feature of the syndrome is the unilateral brain lesion during SE with subsequent development of hemiparesis and drug-resistant epilepsy. The unilateral brain damage in SE is not fully understood. We hypothesized that comorbidity could be the cause of this the hemisphere damage; to that end, we searched for the evidence of comorbidity in patients with HHE. Objective: to analyze the concomitant pathology in patients with HHE, which was the possible cause of unilateral brain damage. Materials and methods. Four patients with HHE syndrome (aged from 1 year 2 months to 6 years; three boys and a girl) were examined. Results. The course of the disease in all patients met the criteria of HHE; various manifestations of comorbidity were found in all four patients. Thus, patient A.A. (6 years old) had hypothyroidism, the history of consciousness loss, acetone smell from the mouth, and spontaneous generalized seizure attacks starting from the age of 11 months. Patient V.S. (6 years old) had adrenogenital syndrome and inborn glaucoma. Patient D.Sh. (1 year 10 months old) had a structural heart defect, a high degree of stigmatization, and suspected Wolf-Hirschhorn syndrome. Patient V.Kh. (3 years old) had cerebral palsy and post-hemorrhagic occlusion hydrocephaly. Conclusion. We propose that comorbidity can be the cause of hidden or obvious lesions in one hemisphere, which can explain the unilateral brain damage in HEE syndrome. The aim was to study the bioelectrical activity of the brain in children with idiopathic epilepsy. Using clinical, neurological and neurophysiological methods, we examined 60 children (32 boys, 53% and 28 girls, 47%) aged 5 to 10 years old. Results. In group 1, 14 children (24%) were found to suffer from absence epilepsy, while the remaining 26 patients (43%) had tonic-clonic seizures. In group 2, 20 cases (33%) of rolandic epilepsy were diagnosed. The results demonstrate that having even few clinical data, it is possible to discern between different types of seizures in children with idiopathic epilepsy by using a routine EEG analysis. Bioethics as a discipline emerged at the turn of the 1960s and 1970s; from the start, the ethical component of Russian medicine played an important role in the development of bioethics. The outstanding surgeons and physicians S.G. Zybelin, P.D. Veniaminov, M.Ya. Mudrov, E.O. Mukhin, F.P. Gaas, N. I. Pirogov, V.S. Soloviev, A. E. Kozhevnikov, S.S. Korsakov, V.V. Veresaev, V.M. Bekhterev, V. F. Voino-Yasenetsky, N.N. Petrov, E.K. Sepp, A.M. Wayne, V.A. Karlov, N.N. 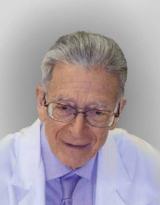 Yakhno and many others contributed to the formation of bioethics in Russia. The Russian Antiepileptic League pays high attention to issues related to bioethics; among them, the use of original and reproduced drugs (generics), the updated classification of epilepsy, the adoption of resolutions important for the national health, as well as the medical and social program «Attention – epilepsy!» for patients and their families. The main objective of the Program is to improve the health and quality of life in patients suffering from epilepsy, and to facilitate their adaptation to the society.